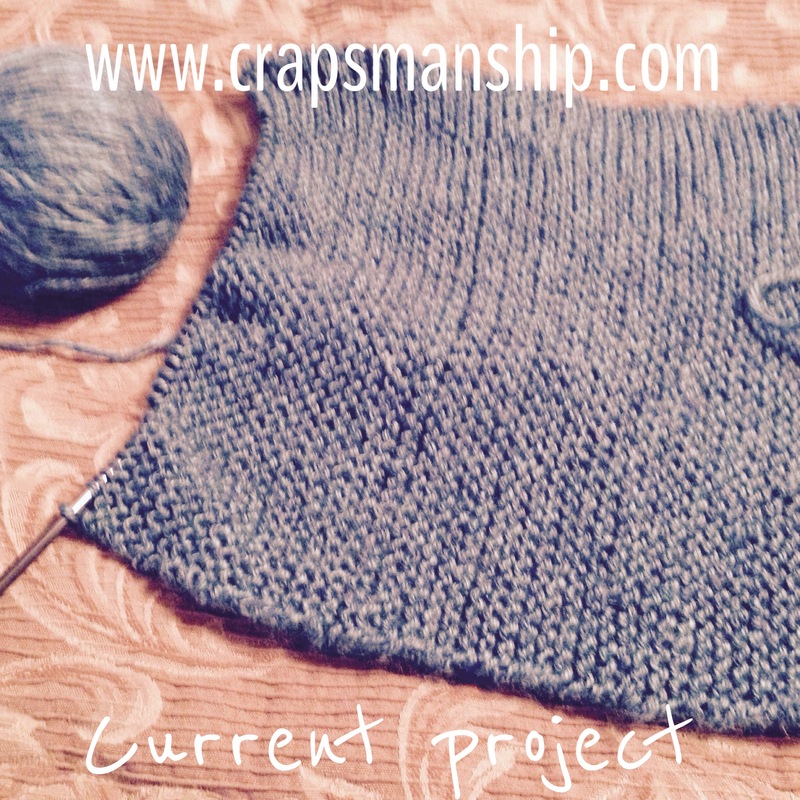 My knitting instructor, Linda at Yarn on Youree, suggested that I post an update of my knitting progress. I think she was worried that my first post painted such a picture of crapsmanship that it might discourage others from trying! 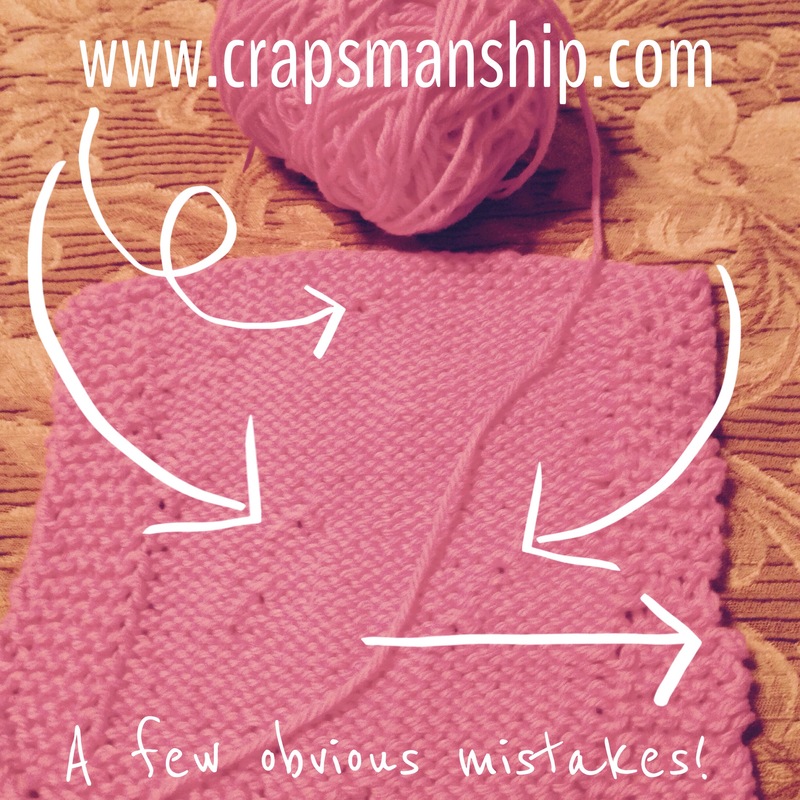 In my previous post (https://crapsmanship.com/2015/03/31/true-knitting-crapsmanship/), I showed you my success (or lack thereof) as I attempted to knit a washcloth. Linda, being the pro that she is, told me that (1) she was proud of how hard that I tried, (2) I had followed the pattern incorrectly, and (3) I would have to start over again so as not to waste the yarn. Smart woman!. My next attempt was better, right? Well, maybe half right. 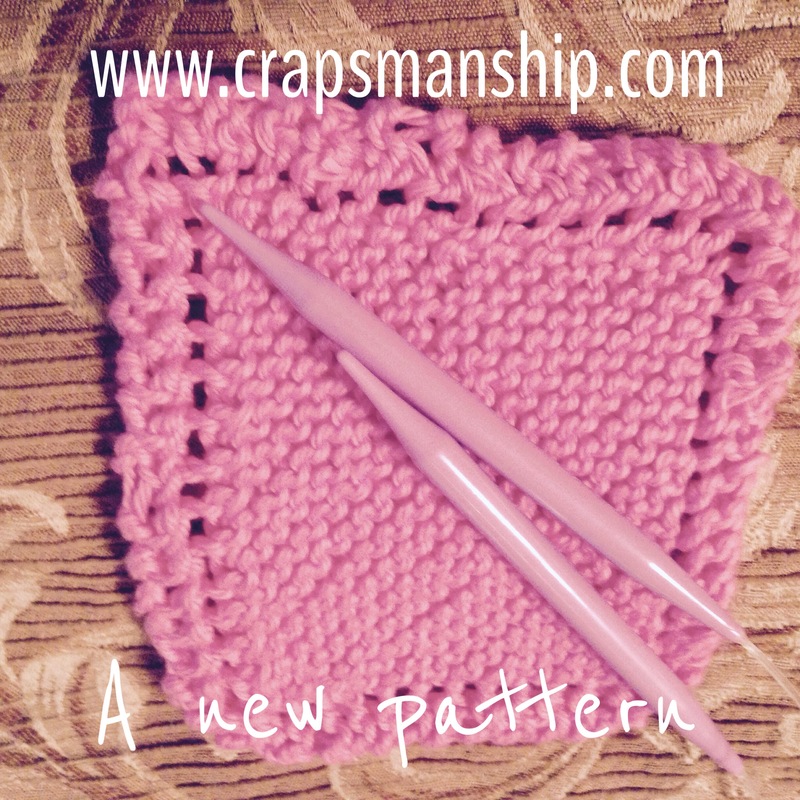 I did use the pattern correctly, but I still made a few mistakes along the way. As you can see by the errors I’ve highlighted, they’re not as glaring as they were before. No gaping holes, fewer zigzag edges. Progress, huh?! So I tried again. 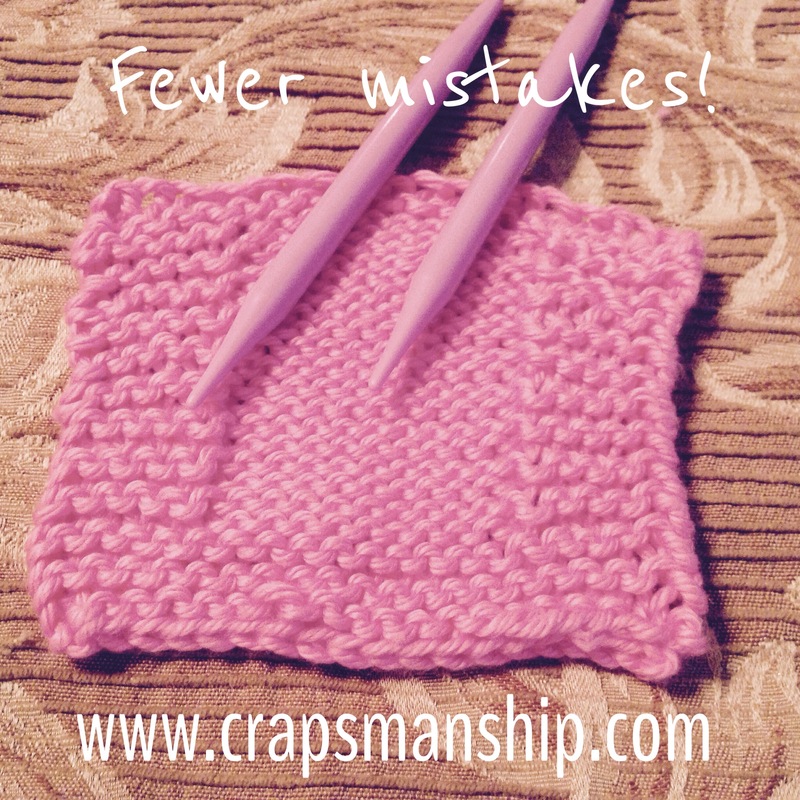 This time, I made a smaller washcloth, being bound and determined to rip out are re-do every mistake. I’m not sure I caught every one, but not bad! I then got so bold as to try a washcloth with another pattern. I taught myself two new stitches to create a fancy border. And while the item didn’t turn into the perfect square that was my intention, it still works fine as a washcloth. The photo at the top of the page shows the beginnings of a scarf that I’m making for my teenage granddaughter in Salt Lake City, and I plan a matching hat. Progress? You bet!